Is there such a thing as an atheist oratorio, a Handel’s Messiah for the non-religious? If not sacred texts, what material would it use? Without a liturgical tradition to draw on, what music would inspire its creation? Scott Johnson has created Mind Out of Matter as an answer to these questions—a work examining religion from an atheist point of view. Instead of choirs singing biblical texts, Mind Out of Matter uses the recorded voice of Daniel C. Dennett, talking about the ideas in his book Breaking the Spell (Religion as a Natural Phenomenon). 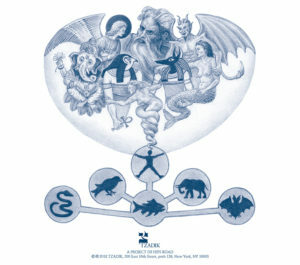 Johnson combines musical styles as disparate as Baroque recitative and retro-funk in order to illuminate Dennett’s central claim: just as plants and animals evolve in the physical environment, so do ideas and traditions compete within ecosystems made up of human minds and cultures. Religious ideas populate our minds, multiply within our cultures, and spread like viruses—sometimes to our benefit, sometimes not. Mind Out Of Matter offers a meditation on a human consciousness capable of gradually discovering its own origins in the physical universe, or of obscuring matters with supernatural stories when reality seems too complex, mysterious, or unfair. 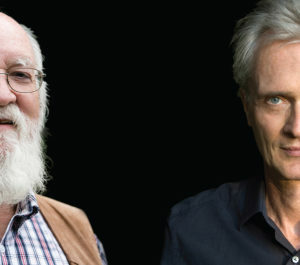 Johnson has tried to imbue this music with the sense of awe and wonder that lie at the heart of Dennett’s scientifically informed philosophy, while still emulating Dennett’s gift for crafting a disarmingly playful presentation. With the humanistic values of the Enlightenment under perennial threat, Dennett brings infectious good humor and warmth to his optimistic account of our species’ steadily advancing understanding of how the world actually works. Composer Scott Johnson has been a pioneering voice in the new relationship being forged between the classical tradition and the popular culture that surrounds it. An early advocate of using rock instruments and technology in scored composition, he has appeared as a virtuosic electric guitarist in many of his pieces. His early work introduced the idea of instrumental writing based on sampled speech, and later works continue to develop his musical gene-splicing, blending complex and intertwined chamber music with a rock band’s hall-filling wall of sound. 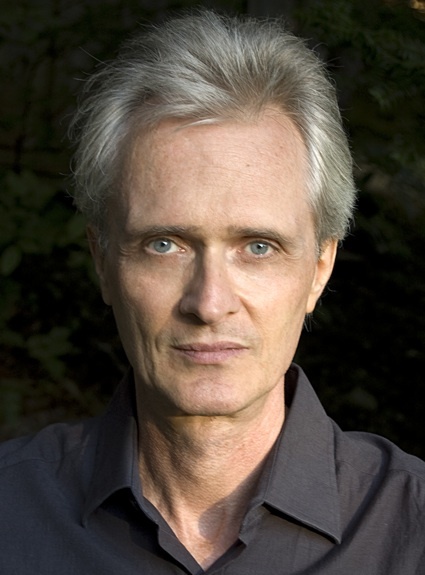 Johnson’s music has been commissioned and performed internationally by ensembles such as the Kronos Quartet, the Bang On A Can All-Stars, and Alarm Will Sound, as well as his own groups. His three decades of effort have been recognized with numerous grants and awards, including a Koussevitsky commission, a 2006 Guggenheim Fellowship, and a 2015 American Academy of Arts and Letters Fellowship. 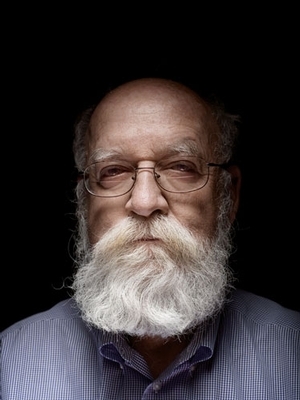 Daniel C. Dennett, the author of Breaking the Spell(Viking, 2006), Freedom Evolves (Viking Penguin, 2003) and Darwin’s Dangerous Idea (Simon & Schuster, 1995), is University Professor and Austin B. Fletcher Professor of Philosophy, and Co-Director of the Center for Cognitive Studies at Tufts University. He lives with his wife in North Andover, Massachusetts, and has a daughter, a son, and four grandchildren. He was born in Boston in 1942, the son of a historian by the same name, and received his B.A. in philosophy from Harvard in 1963. He then went to Oxford to work with Gilbert Ryle, under whose supervision he completed the D.Phil. in philosophy in 1965. He taught at U.C. Irvine from 1965 to 1971, when he moved to Tufts, where he has taught ever since, aside from periods visiting at Harvard, Pittsburgh, Oxford, the École Normale Supérieure in Paris, the London School of Economics and the American University of Beirut.